When you open too many tabs in your Firefox, it start consuming lots of system RAM. So, you should always try to keep number of tabs as less as possible. If you think it is hard for you to follow this, you can try MaxTabs add-on. This cool Firefox add-on will limit the maximum number of tabs you can open in your browser. 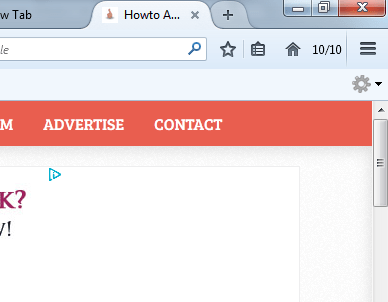 How to Copy All Links on a Web Page in Firefox At OnceInstall Max Tabs in your browser. It does not need browser restart. Just after the installation, you will see 1/10 at the right side of the home button. By default, it adds the limitation of 10 tabs. If you want to change this, go to the options of this add-on. Here, you can change maximum number of allowed tabs. Now start browsing the Internet. If you have reached the maximum number of tabs, it will not allow you to open new tabs any more. Max Tabs only works for one window only. If you open the new Window, you will be able to more tabs. 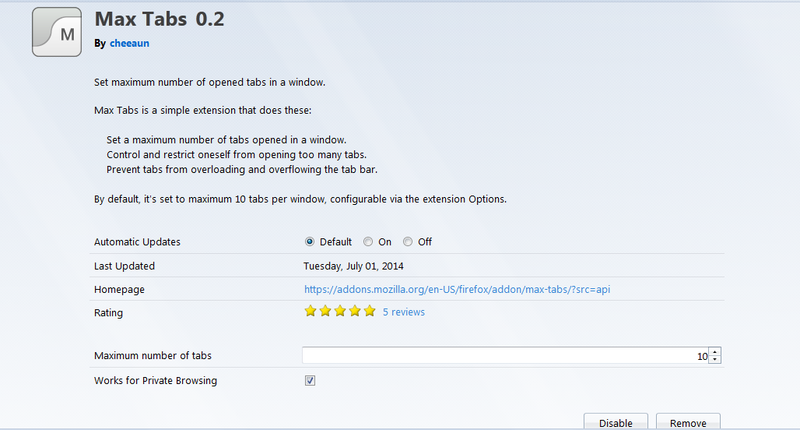 Max Tabs is available to download for free and works good. I installed it in my Firefox 30.0 and it was working without any issue.